It's a Arctic Animals Adventure! Meet the magnificent Arctic animals on our sweet combo tour. 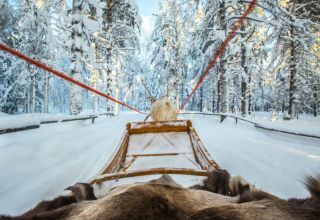 Ride a reindeer sleigh and take a husky sleigh ride through winter landscapes. 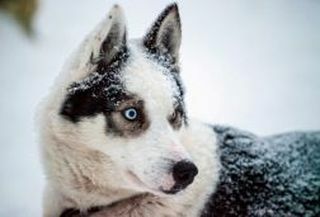 Visit a husky kennel and reindeer farm and learn about their habits and Lappish culture. Get to know the animals and enjoy your winter adventure. Grab your cameras and get ready for an adventure. 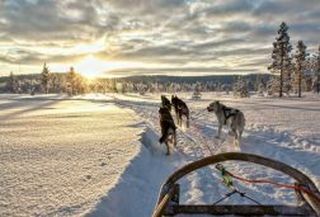 Tours include a pick up / drop off transfer from your accommodation in the area of central Rovaniemi. Time for meeting point and place will be confirmed upon the reservation. 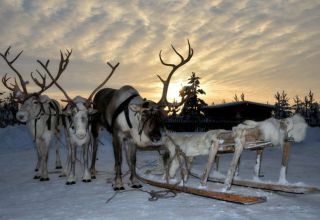 We will pick you up from your hotel in Rovaniemi and take you to the reindeer farm. Along the way, we will pass snow-covered fields and magical Lappish landscapes. 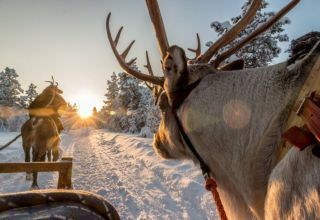 At reindeer safari, you will get an exclusive chance to become a certified reindeer driver! A reindeer driving license will be given to everyone, after a reindeer safari. A professional tour guide will provide you with a safety briefing, after which you will go on a 500m self-driving trip. Our next stop is the Husky park. This park has about 70 huskies, and each year new puppies are born. Which means, you will have a unique chance to see puppies, play with them, and learn more about their nurturing and habits. Huskies are born to run, and they are happy to take you on a safari. 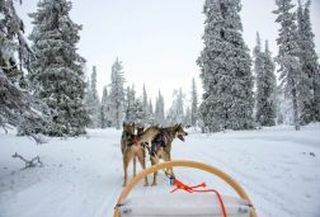 After a safety briefing, you can sit back and glide through the snowfields of Lapland on a husky-pulled sleigh! 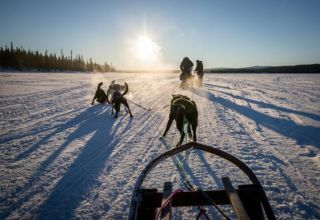 The husky ride is 2 km long, which gives you just enough time to snap some excellent photos. After the ride, we will warm up with some hot berry juice and get cozy around the campfire at the park. 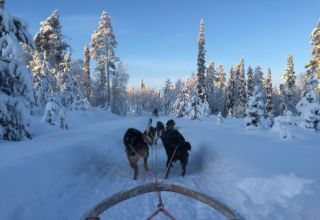 If you want to see frozen lakes, snowy forests and dazzling icy rivers, and enjoy traditional Husky and reindeer sleigh ride, this tour is perfect for you! What would you do if you wanted to experience an ultimate winter adventure? Well, of course, you would visit Santa's village and try husky and reindeer sleigh rides! Reindeer sleigh ride is an essential Finish experience. 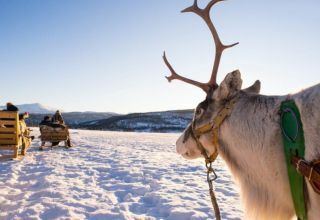 Feel the thrill of skimming through snowfields, and get your Reindeer Driving license!